This evergreen shrub will grow 10' tall and wide. It produces puff-ball, red flowers that bloom in winter and spring. Foliage is evergreen, with copper colored new growth, changing to dark green. Pods appear after blooming period and will "explode" at times spewing seeds. It is a beautiful espalier plant. 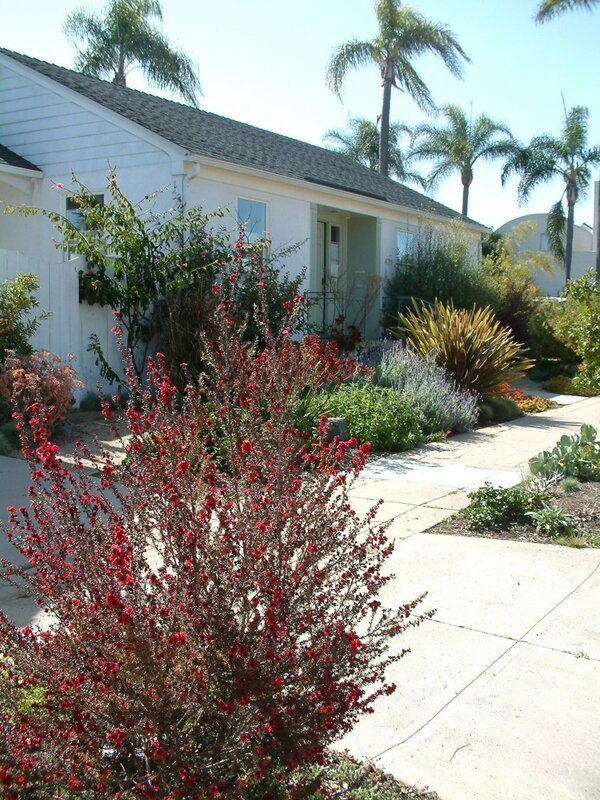 This shrub does best in full sun with well draining soil. It tolerates coastal as well as desert areas. Prune after bloom period. Low watering needs once it's established.